Following critically-acclaimed productions of Betrayal and Old Times, Ian Rickson reunites with Sonia Friedman Productions to direct a major new revival of Harold Pinter’s brilliantly mysterious dark-comic masterpiece, The Birthday Party. 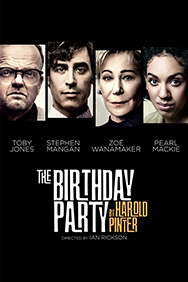 Starring in Pinter’s comedy of menace are Toby Jones (The Play What I Wrote, Every Good Boy Deserves Favour, Sherlock, Atomic Blonde), Stephen Mangan (The Norman Conquests, Jeeves and Wooster, Episodes), Zoë Wanamaker CBE (Harlequinade, Passion Play, My Family), Pearl Mackie (Doctor Who, The Curious Incident of the Dog in the Night-Time), Tom Vaughan-Lawlor (All My Sons, Peaky Blinders, The Infiltrator) and Peter Wight (Hamlet, Electra, Atonement). Stanley Webber is the only lodger at Meg and Petey Boles’ sleepy seaside boarding house. The unsettling arrival of enigmatic strangers Goldberg and McCann disrupts the humdrum lives of the inhabitants and their friend Lulu, and mundanity soon becomes menace when a seemingly innocent birthday party turns into a disturbing nightmare. Truth and alliances hastily shift in Pinter's landmark play about the absurd terrors of the everyday. Ian Rickson’s new production of The Birthday Party will be designed by the Quay Brothers, with lighting by Hugh Vanstone, sound by Simon Baker, music by Stephen Warbeck and casting by Amy Ball. 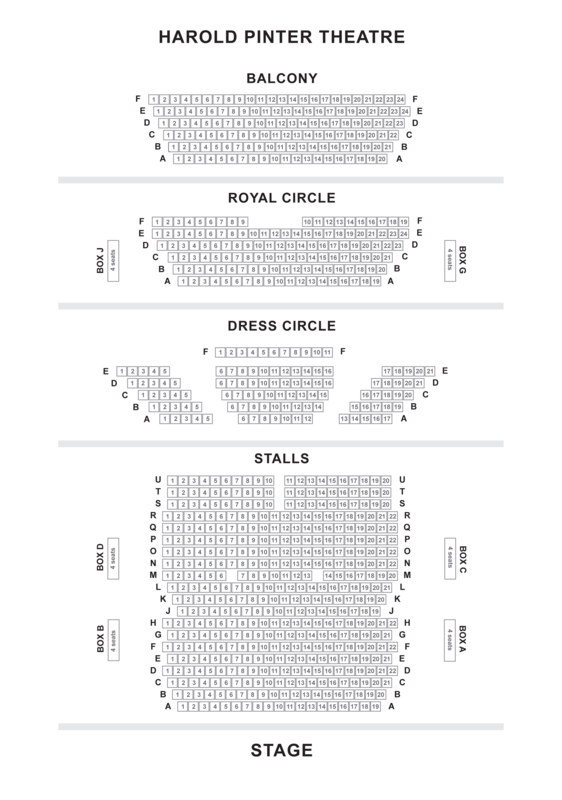 "A fantastic revival of a darkly comic masterpiece"
"An extravaganza of talent. You couldn’t wish for a better revival than this"
"Packed with illuminating detail, Ian Rickson’s starry production does rich justice to Harold Pinter’s captivating psychodrama"
"Ian Rickson has given us a beautifully judged, beautifully acted, powerful revival of Pinter’s first masterpiece. Gripping from start to finish"
"A meticulous, beautifully considered, richly eloquent production - not to be missed"